My boat’s only 3 years old and already the Isinglass windows are starting to turn foggy yellow. It’s making it hard to see through. The same thing’s happening to the plastic portlights. Is there some way to restore them or will I have to replace them. Replacement is expensive. 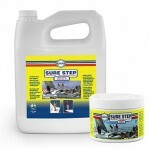 Thousands of boat owners have had remarkable success with Clear View Kit. It’s a two-part kit. Part one is a cleaner and restorer. 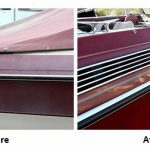 It quickly and easily removes fogging, yellowing, and minor scratching from clear vinyl boat windows, Isinglass, Strataglass, polycarbonate, and acrylic. In other words, from all see-through plastics. Part two is a UV protective coating that will protect against sun damage and is anti-static to repel dust and dirt. It also fills in minor scratches to restore optical clarity and restore suppleness. As long as your curtains and portlights are not completely damaged, Clear View Kit can save you the cost, time and effort of having to replace them. One boat owner saved $850 plus Re&Re costs by restoring his compass dome, instead of replacing it. 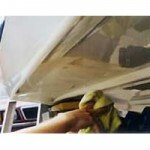 Another sailor saved over $450 when he restored the windshield in his bimini. Numerous sailors have complained that before Clear View Kit they could’nt see through their portlights, now they complain because they have to invest in curtains to get some privacy. 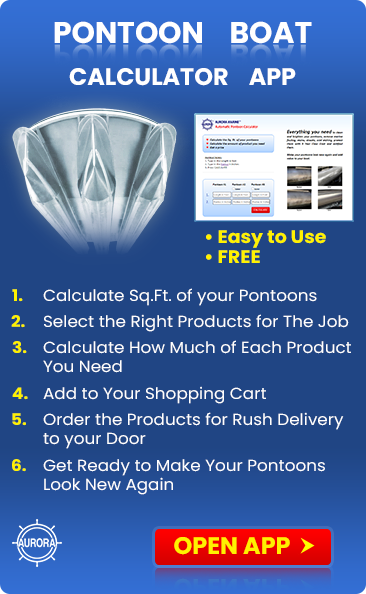 Regular use of Clear View Kit on new plastic windows can extend the life by over four times. Here are a few tips on care and maintenance of your plastic windows, hatches and portlights. When cleaning your clear vinyl windows, polycarbonate or acrylic, rinse them well with clear water and pat dry with a synthetic chamois or soft clean cloth. Never wipe your windows when dry, or with a paper towel. This will scratch the surface. Never fold vinyl windows. The best way to store your curtains is to place a towel or soft cloth on the surface and roll it. Folding will cause cracking. Only use special cleaners, made for see through plastics. 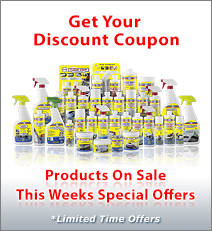 Never use household cleaners, glass cleaner or cleaners that contain alcohol, strong solvents or ammonia. Some household cleaners can destroy your plastic windows in a mater of months. Never use furniture polish on Isinglass. They will tint your windows yellow or brown and can cause them to get gummy and sticky..
You should apply Clear View to your see through plastics every 4 to 6 weeks to protect against UV damage and extend their life and optical clarity. Also protect your hatches, portlights, compass dome and instrument crystals at the same time. Don’t allow your vinyl windows rest against stainless steel or aluminum rails. The sun’s reflection will burn permanent brown marks into the windows. Buy offset spacers or cotton covers for the rails. During winter lay-up, remove your Isinglass windows and store them at home if possible. Did you find this information helpful? 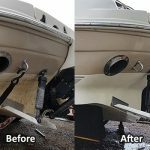 If so please let me know by leaving feedback and I’ll post more of the same type of information about boat maintenance.